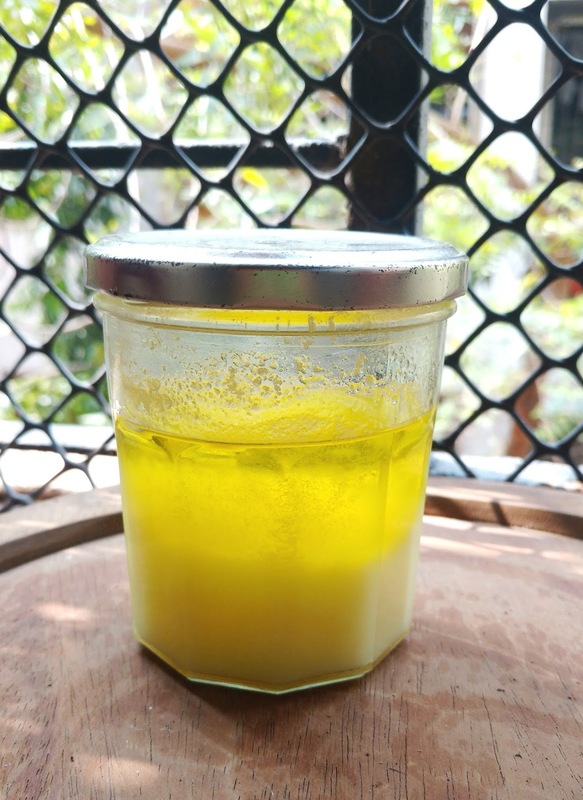 I love making ghee at home and have done it ever since I set up my own home. In fact, in these 18 years of being married and having my own household I've bought a tin of Amul ghee only once. It wasn't bad but it was obviously different from ghee made in my house and I never bought ghee again. These days the only out sourced ghee in my kitchen is Bonolokkhi ghee from Santiniketan. A little jar of that sits in my kitchen to be used as a drizzle on hot rice or khichuri. However, as much as we enjoy the Bonolokkhi ghee, nothing gives me as much pleasure as home made ghee from full fat buffalo milk. 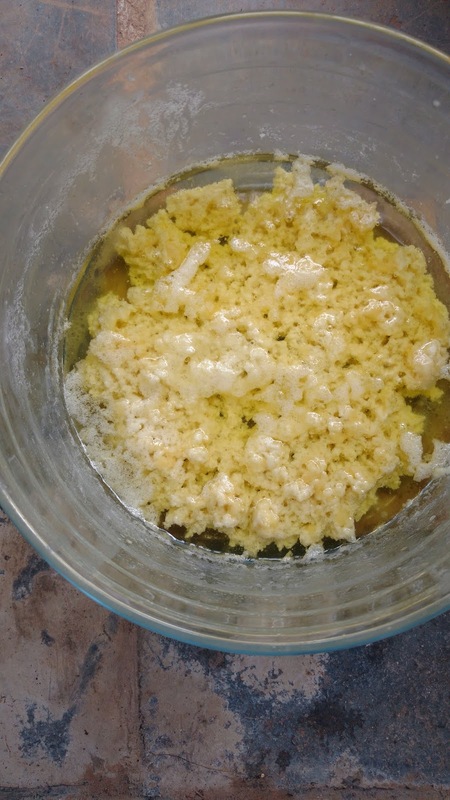 As a child I had seem my mother make ghee at home. There would be an aluminium dekchi or pot in which she would collect the thick cream. Our household consumed a litre of buffalo milk daily and the pot of malai or 'shawr' would fill up in a week. Moni would take the pot out of the fridge and leave it to come to room temperature. Once it was soft enough to churn she would get her churner - a hand-held gadget that would be plunged into the collected cream and then one would turn a handle that in turn made a wheel go round to turn beaters just like the ones we get on hand held electric beaters today. Of course, Moni also had a fancy Kenwood electric stand mixer with a detachable hand beater but she found it easier to use the manual gadget rather than unpack the Kenwood. The job of churning the malai soon fell to me as Moni decided I was old enough to be used as free kitchen labour. Once the malai was sufficiently churned dollops of white butter would emerge and this butter was scooped out and then cooked over a low flame in a thick bottomed kadai till the beautiful, aromatic and golden ghee emerged. Moni would cool the ghee and then strain it to be stored in the large glass Nestle coffee jars with their broad orange plastic lids. She had dozens of these jars and her pantry cupboard would have a line of these filled to the brim with her home-made ghee. There would be so much ghee that a jar of ghee would be carried as a gift for Didin on our yearly trips to Kolkata. In later years Moni had a lot more to handle and she stopped churning the cream to make butter but would simply cook it directly to make ghee. It was quicker and less bothersome. 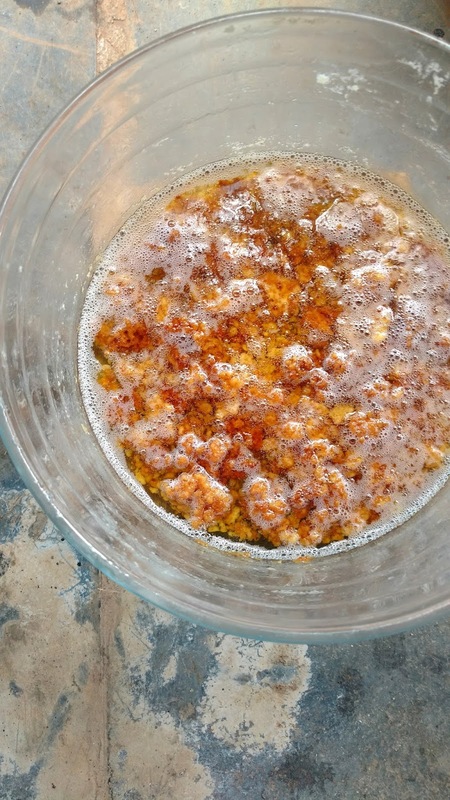 I too stopped extracting butter before making ghee out of sheer laziness. It isn't the most efficient way and there's a fair amount of cleaning to be done, especially of the cooking vessel. And then I discovered the method of making ghee in the microwave on Chef at Large. This was a revelation! Nothing much to it and no mess at all! No stubbornly stuck bits on the cooking pot, no multiple pots and gadgets to clean, and beautiful ghee too! I am a convert and here's how to do it. Keep the collected cream on your counter top to come to room temperature. 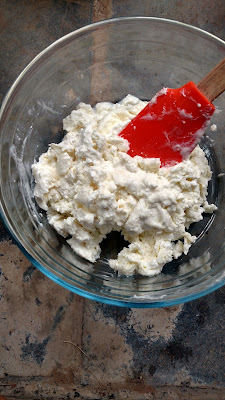 Transfer the cream to the microwave safe bowl. Whisk it lightly to make it smooth and even. 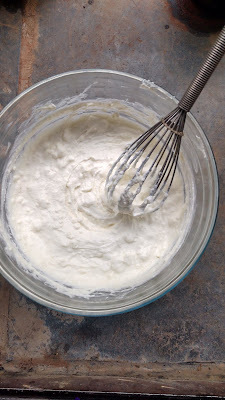 Set your microwave on 100% and then zap the smoothened cream for 10 minutes. Stir gently with your spatula and then zap again for another 10 minutes. Hold the bowl with a napkin as it might get hot. Let the ghee cool and then strain it into a clean glass jar. Your ghee is ready! The residue in the bowl will come off very easily so you don't have to worry about soaking the vessel and then applying serious muscle power to clean it. 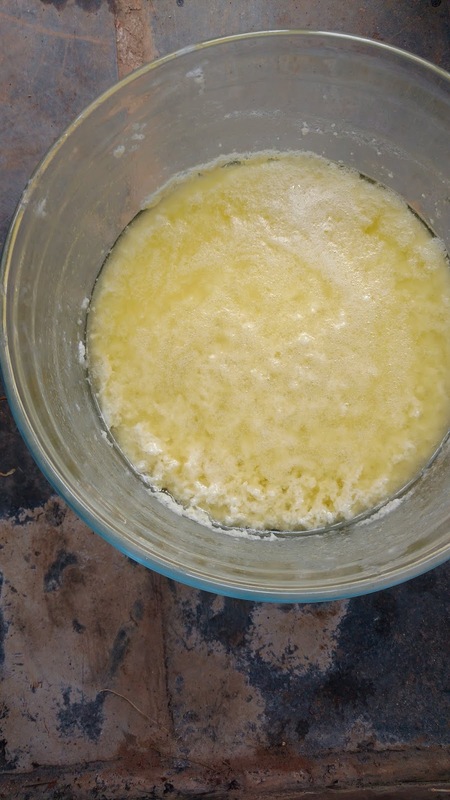 This method worked really well and the ghee tastes as good as ever. Do give it a try.